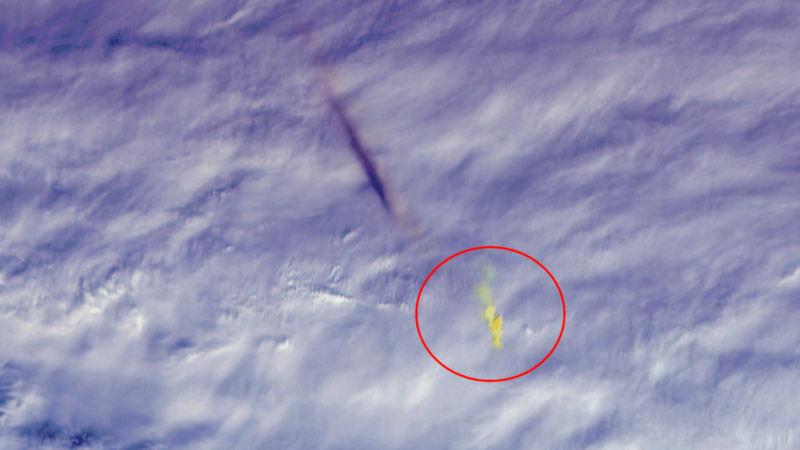 The blast occurred on 18 December about 16 miles over the Bering Sea, off Russia's Kamchatka Peninsula. NASA's Terra satellite captured the event with five of the nine cameras on the Multi-angle Imaging SpectroRadiometer satellite. The space agency compiled footage of about seven minutes after the meteor exploded and transformed it into a GIF. Congress tasked NASA in 2005 with developing technology that would spot 90% of near-Earth asteroids of 460 feet or larger by 2020. Meteors of that size are called "problems without passports" because the impact would be devastating. Scientists responded to Congresses' request by indicating such technology would not be available until the 2030s. So, why did NASA wait more than three months to alert the public that a huge meteor exploded off the coast of Russia? Well, the one thing governments don't like is panic, so, of course, the public is not allowed to know.